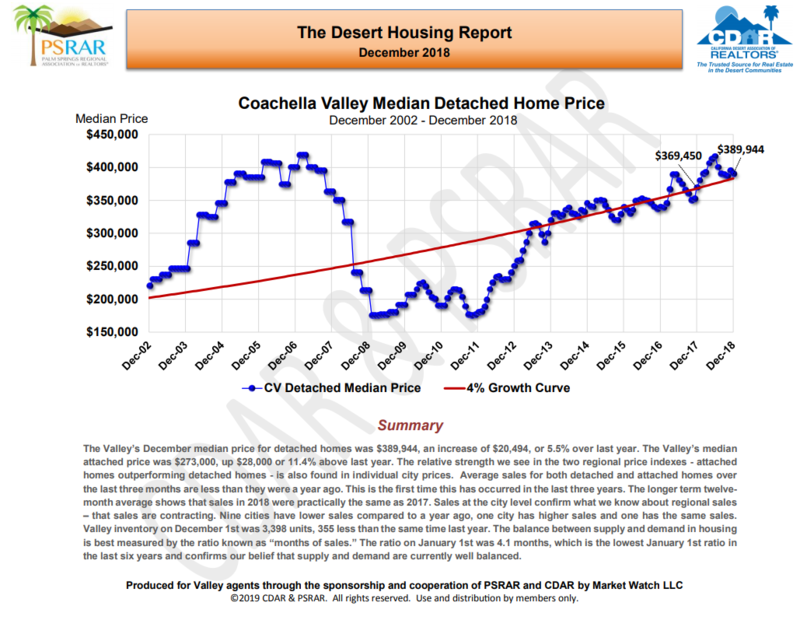 We continue to see a steady and healthy increase in our desert home prices over the past several years. This is good news for those looking to purchase or sell their home anytime soon. Contact Kim or Denise for more good news about listing your current home, or if you're looking for your new place in the sun!